In 2015 the not so free “born frees” took a stand against the proposed increase in fees for many universities throughout the nation. Their fight was much greater than the fees; the premise of their fight was the economic injustices that have been perpetuated too far into an era of liberation. Last week I was at pains to explain to a friend that the matter that the students were protesting about was not only a political matter; this was a fundamental injustice in which we have all participated in through our silent suffering of the insufferable. What the 2015 students were unnervingly telling South Africa was that the time for real economic emancipation for all had come and it began with education. What this breed of students understands without a doubt is that, education is the one thing that will take them out of the poverty that plagues a vast majority of South African households. It was Nelson Mandela who said: education is the most powerful tool, which you can use to change the world. The class of 2015 justifiably fought for the right to change the world, for the opportunity to change humanity. May this be the beginning of significant change in a nation were change is long overdue. Economic emancipation shall become a reality in South Africa and it shall be afforded to us by the youth, from students right through to the young professionals. The idea of economic emancipation has already taken root in our minds, and as Thomas Sankara once said; “ It is true, you can not kill ideas, ideas do not die”. Aluta Continuia – The struggle Continues. “I would rather die for an idea that is going to live, than to live for an idea that is going to die”– Steven Bantu Biko (1977); and boy is the class of 2015 fighting for the idea of education. 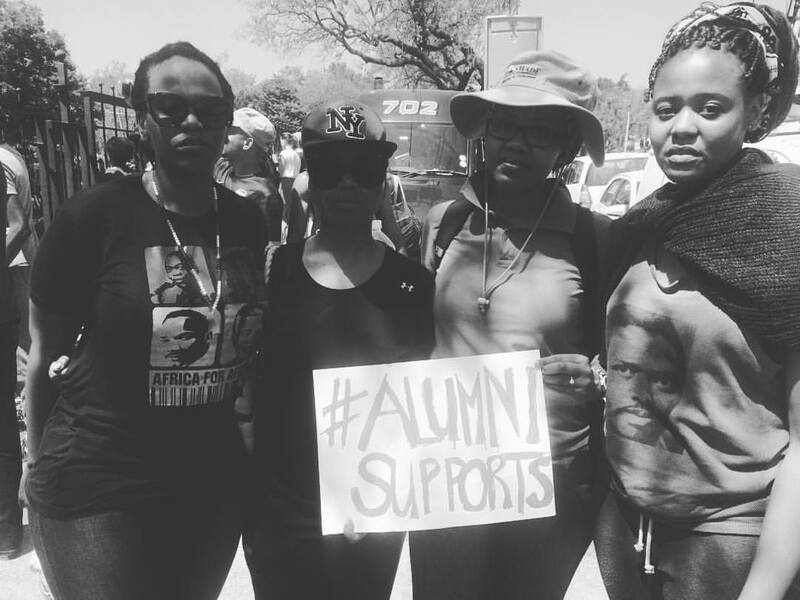 Having attended the #FeesMustFall protest and march to the Union Buildings on the 23 October 2015, exactly 1 year before commemorating 40 years of the “1976″ students march…I was pregnant with a belly filled with sweet, sour and spicy emotions. – What have our leaders been prioritising all this time? -Do they not want the best doctors, lawyers, artists to come be born and “manufactured” in South Africa? It has been a week of immense pride as well as horrific sorrow for South Africa. Many times I have tried to sit down and write something but my heart breaks. We have all seen the images of the burning tyres, tear gas, and police “hippos” and stun grenades. For me however, this week has been a week about a courageous youth in our nation. Our young people will no longer take things as they are and will demand change. A generation of leaders whom we all thought had passed away with the Biko’s, Sobukwe’s. Young people who have organised themselves, are disciplined in their plight and will not be deterred from their goal, whatever the cost. And after an exhausting day out in the Pretoria heat on Friday, marching to the union buildings, after being tear gassed and at times being in fear of what the police forces next move may be, my heart is renewed. 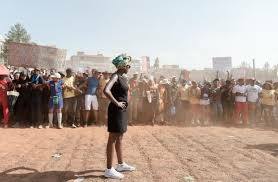 It is renewed by the young lions of our time, the Nompendulo’s of our generation, the women whom we need to ensure history does not forget. Biko lives, and she/he is powerful! Aluta! In my view 2015 has been a phenomenal year in student politics. 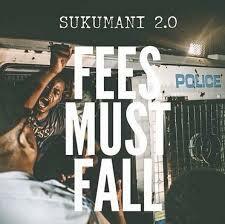 From Rhodes Must Fall to Luister and Fees Must Fall- young people in South Africa have forced the nation to take a critical look at our education system and its faults. As a UCT alumnus I applaud the courage of all the students who have actively advocated for the transformation of tertiary education. Quite often young South Africans are negatively branded as apathetic, entitled and with no common purpose. However, I believe that the Fees Must Fall movement has shown that young South Africans from various races and upbringings are very conscious of the inequalities in the country and are willing to challenge authorities for solutions. As an African I wonder what this means not just for South Africa, but for our continent. Africa is the youngest continent in the world, with two hundred million people between the ages of 15 and 24 years old. Yet the average age of our political leaders is 61 years old. This oxymoron brings a few questions to my mind: Do the student protests that have happened in South Africa this year have the potential to inspire movements to democratize education across the continent? 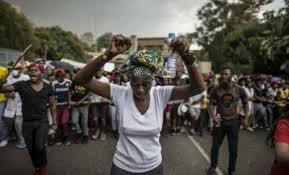 Will the protests influence African leaders re-prioritise their political agendas and bring youth issues to the fore? Will young South Africans remain as active, radical and uncompromising during elections and remember to voice their beliefs when it matters most? The “born-frees” really showed what they were made of over the past week and I could not be more proud. These students have shown the ANC that empty promises and failure to deliver will just not cut it. I fear we are on the brink of a revolution, a movement that could potentially bring this country to its knees but hopefully stand up to a brighter future. © Copyright 2018 Mbewu Movement. All rights reserved.